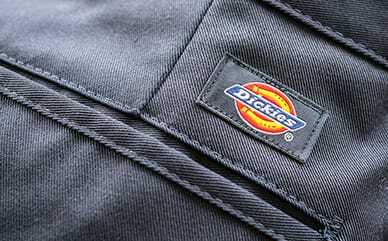 Rely on Dickies’ Snap Front Warm-Up Jacket to keep you comfortable at work. The contemporary fit combines with enough spandex to keep it fitted and comfortable all day. Front and back princess seams conform this warm-up jacket to your body to flatter every minute you wear it. The front patch packets and cell phone pocket offer you some utility to carry necessities, while the button front lets you control your level of warmth.